What Are We Waiting For? Let's Begin! 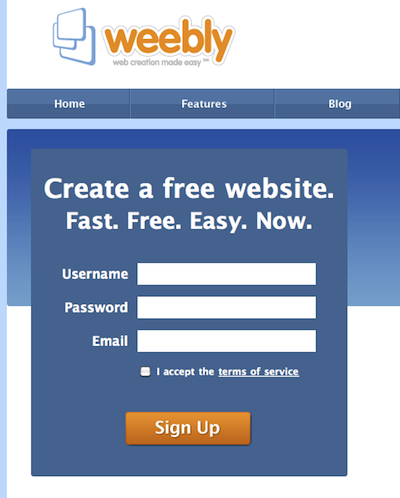 Go to www.weebly.com and sign-up using only your name and email account. You will be prompted to choose a Plan (Free is an option!) and the type of website you wish to create. Choose a template theme that works for your classroom.